An arboretum (plural: arboreta) in a narrow sense is a collection of trees only. Related collections include a fruticetum (from the Latin frutex, meaning shrub), and a viticetum, a collection of vines. More commonly, today, an arboretum is a botanical garden containing living collections of woody plants intended at least partly for scientific study. An arboretum specializing in growing conifers is known as a pinetum. 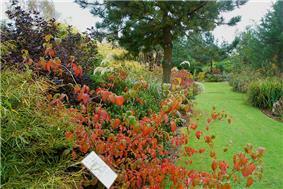 Other specialist arboreta include salicetums (willows), populetums, and quercetums (oaks). The term arboretum was first used in an English publication by John Claudius Loudon in 1833 in The Gardener's Magazine but the concept was already long-established by then. Egyptian Pharaohs planted exotic trees and cared for them; they brought ebony wood from the Sudan, pine and cedar from Syria. Hatshepsut's expedition to Punt returned bearing thirty-one live frankincense trees, the roots of which were carefully kept in baskets for the duration of the voyage; this was the first recorded attempt to transplant foreign trees. It is reported that Hatshepsut had these trees planted in the courts of her Deir el Bahri mortuary temple complex. Arboreta are special places for the cultivation and display of a wide variety of different kinds of trees and shrubs (that is ligneous plants). Many tree collections have been claimed as the first arboretum, in most cases, however, the term has been applied retrospectively as it did not come into use until the later eighteenth century. Arboreta differ from pieces of woodland or plantations because they are botanically significant collections with a variety of examples rather than just a few kinds. Of course there are many tree collections that are much older than the eighteenth century in different parts of the world. Probably the most important early proponent of the arboretum in the English-speaking transatlantic world was the prolific landscape gardener and writer, John Claudius Loudon (1783–1843) who undertook many gardening commissions and published the Gardener's Magazine, Encyclopaedia of Gardening and other major works. Loudon's Arboretum et Fruticetum Britannicum, 8 vols., (1838) is probably the most significant work on the subject in British history and included an account of all trees and shrubs that were hardy in the British climate, an international history of arboriculture, an assessment of the cultural, economic and industrial value of trees and four volumes of plates. Loudon urged that a national arboretum be created and called for arboreta and other systematic collections to be established in public parks, private gardens, country estates and other places. He regarded the Derby Arboretum (1840) as the most important landscape-gardening commission of the latter part of his career because it demonstrated the benefits of a public arboretum (for more details see below). Commenting on Loddiges' famous Hackney Botanic Garden arboretum, begun in 1816, which was a commercial nursery that subsequently opened free to the public, for educational benefit, every Sunday, Loudon wrote: "The arboretum looks better this season than it has ever done since it was planted... The more lofty trees suffered from the late high winds, but not materially. We walked round the two outer spirals of this coil of trees and shrubs; viz. from Acer to Quercus. There is no garden scene about London so interesting". A plan of Loddiges' arboretum was included in The Encyclopaedia of Gardening, 1834 edition. Leaves from Loddiges' arboretum and in some instances entire trees, were studiously drawn to illustrate Loudon's encyclopaedic book Arboretum et Fruticetum Britannicum which also incorporated drawings from other early botanic gardens and parklands throughout the United Kingdom. One example of an early European tree collection is the Trsteno Arboretum, near Dubrovnik in Croatia. The date of its founding is unknown, but it was already in existence by 1492, when a 15 m (50 ft) span aqueduct to irrigate the arboretum was constructed; this aqueduct is still in use. 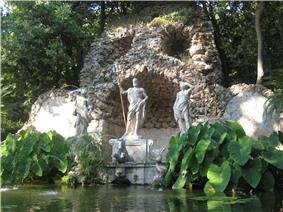 The garden was created by the prominent local Gučetić/Gozze family. It suffered two major disasters in the 1990s but its two unique and ancient Oriental Planes remained standing. The arboretum at Ooty was established in 1992 with an aim of conserving native and indigenous trees; it occupies 1.58 hectares (3.9 acres) near Ooty lake. It was established during the year 1992 and maintained by Department of Horticulture with Hill Area Development Programme funds. The micro watershed area leading to Ooty lake where the arboretum is now located, had been neglected and the feeder line feeding water to Ooty was contaminated with urban waste and agricultural chemicals. The area is the natural habitats of both indigenous and migratory birds. During the year 2005-2006, it was rehabilated with funds provided by the Hill Area Development Programme (Rs 1,250,000) by providing permanent fencing, a foot path, and other infrastructure facilities. Both indigenous and exotic tree species are included; about 80 trees were previously present, including the following species: Alnus nepalensis, Calistemon lanceolatus, Cupressus macrocarpa, Eugenia apiculata, Hypericum hookerianum, Podocarpus elongata, Populus deltoides, Quercus macrocarpa, Salix babylonica, Taxodium mucronatum, Prunus pissardii. The following tree species were also planted: Celtis tetrandra, Dillenia pentagyna, Elaeocarpus ferrugineus, Elaeocarpus oblongus, Evodia lunuankenda, Glochidion neilgherrense, Ligustrum perrotetti, Litsaea ligustrina, Litsaea wightiana, Meliosma arnotiana, Meliosma wightii, Michelia champaca, Michelia nilagirica, Pygeum gardneri, Syzygium amothanum, Syzygium montanum, Alnus nepalensis, Viburnum erubescens, Podocarpus wallichianus, Rhodomyrtus tomentosa, Rapanea wightiana, Ternstroemia japonica, Microtropis microcarpa, Psychotria conjesta, Photinea notoniana, Cedrela toona, Symplocos cochinchinensis, Elaeocarpus ganitrus, Platanus orientalis, Jacaranda mimosaefolia, Magnolia grandiflora etc. Probably the largest collection of Northern Hemisphere trees in the Southern Hemisphere can be found at Eastwoodhill Arboretum, Ngatapa, Gisborne, New Zealand. The arboretum is the realization of the dream of William Douglas Cook (1884–1967), who started planting trees on his farm shortly after the First World War. 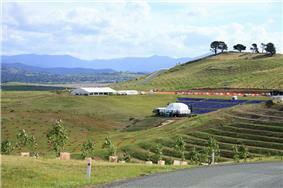 The arboretum is now the National Arboretum of New Zealand, and holds some 4,000 different trees, shrubs and climbers. Parks Victoria RJ Hamer Arboretum, Visitors to the RJ Hamer Arboretum can take a quiet, peaceful stroll along the many walking tracks and roads providing access to the 126 hectares of breathtaking scenery and tranquil beauty that the Arboretum has to offer. The RJ Hamer Arboretum land is a small part of the original Dandenong and Woori Yallock State forest, proclaimed over 110 years ago. The RJ Hamer Arboretum is the first known occasion in which a forest style Arboretum was completely established by planting. A basic planting design was completed in 1970 and planting was carried out for the next 15 years. The Tasmanian Arboretum was established in 1984 on the Don River in Devonport, Tasmania, Australia. The main site is 58 ha. There are over 2,500 plants in the geographic and thematic collections along with riparian revegetation. Maintenance of the collections is done by volunteers. National Arboretum Canberra is being developed on a 250-hectare site in the Greenhills Forest areas west of the Tuggeranong Parkway and Lake Burley Griffin, Canberra, Australia. It includes an existing stand of 5000 Himalayan Cedars and the 80-year-old Cork Oak plantation which were damaged by the 2001 and 2003 Canberra bushfires. It features different types of threatened and symbolic trees from around Australia and the world, including the world's largest planting of the Wollemi pine. There will eventually be 100 forests and 100 gardens with almost 80 forests planted already. Located at Yarramundi Reach on the shores of Lake Burley Griffin, the Lindsay Pryor National Arboretum is a 30-hectare site originally planted by Professor Pryor between 1954 and 1957 to improve the view from Government House. Shortly before the Derby Arboretum opened in 1840, another arboretum was opened for free public access at Abney Park Cemetery in Stoke Newington near London, modelled partly on Mount Auburn Cemetery near Boston and designed by Loddiges nursery. It was laid out with 2,500 trees and shrubs, all labelled and arranged in an unusual alphabetical format from A for Acer (maple trees) to Z for Zanthoxylum (American toothache trees). Until Kew was enlarged and opened to the public, this remained the largest arboretum in Europe. It never achieved the recognition of the better financed early nineteenth century botanical gardens and arboreta that could afford members' events, indoor facilities and curatoral staff for those who paid accordingly. 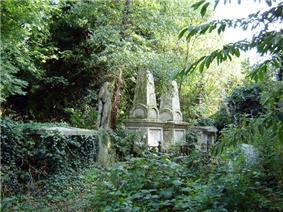 However unlike these, and even unlike the 'public' arboretum at Derby, the Abney Park arboretum always offered public access free of charge, though sometimes, by pre-arrangement; a Viewing Order was needed so as not to interfere with funeral events. An arboretum containing mostly plants from Scandinavian countries. 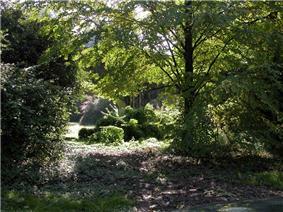 A small arboretum at Bank Hall Action Group cleared the grounds. It contains one of two known fallen Sequoia sempervirens in the UK, Wellingtonia, dawn redwood (Metasequoia glyptostroboides), Atlas cedar (Cedrus atlantica), western hemlock (Tsuga heterophylla), Chinese swamp cypress and yew. Recent additions by the Action Group include paperbark maple (Acer griseum) (2004), cedar of Lebanon (Cedrus libani) (2005), further yew and pine trees (2006–2009) and a Ginkgo biloba (2011) for the Royal Wedding of the Duke and Duchess of Cambridge. It also has many specimens of snowdrop, daffodil and bluebell. Situated one and a quarter miles west of Moreton-in-Marsh, Gloucestershire, Batsford Arboretum is tucked away on a south facing escarpment of the famous Cotswold Hills. 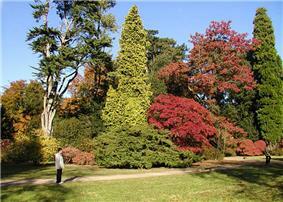 Bedgebury National Pinetum, near Goudhurst, Kent is one of the world's most complete collections of conifers. The 300 acre Pinetum contains over 12,000 trees and shrubs (including 1,800 different species) from across five continents, many of them rare and endangered. Autumn colour in Bluebell Arboretum: Many trees have educational labels as shown at bottom. Located in South Derbyshire near Ashby-de-la-Zouch, with planting begun in 1992, this 9 acre Royal Horticultural Society recommended arboretum contains a large variety of rare but hardy plants and trees, including amongst many species a grove of Giant Redwoods and a substantial Liquidambar collection. The arboretum is extensively labelled with educational notes and information for many of the plants. 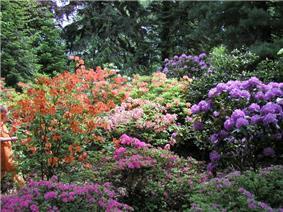 Wolverley, Kiddermister, Bodenham Arboretum has 156 acres (0.63 km2) contains mature woodland, specimen trees and shrubs. With a collection of over 3,000 species of trees and shrubs it includes a number of collections such as Acers, North American Oaks and Alders. There are many species of insects and resident and migrating birds with the aquatic and wet margins to the pools provide a breeding ground for many water-fowl and frogs. The Derby Arboretum opened on 16 September 1840. Commissioned and presented by Joseph Strutt (1766–1844) a wealthy industrialist and major local benefactor, the Derby Arboretum was designed by John Claudius Loudon and had a major impact upon the development of urban parks. It was one of the first Victorian public parks and also unusual for the quality of its collection of trees and shrubs. Although established on only quite a small site of 14 acres, the park featured a labelled collection of over 1000 trees and shrubs and was landscaped with mounds, sinuous paths, urns, benches, statues, lodges and other features. Managed by a committee until it was acquired by the Derby Corporation during the 1880s, the Derby Arboretum was only open free to the public for two days of the week for its first four decades, the remaining days being reserved for subscribers and their families and guests. Very popular anniversary festivals were staged annually which drew crowds of tens of thousands and helped to fund the upkeep of the park. The Derby Arboretum is also significant because it was the planted counterpart to Loudon's Arboretum et Fruticetum Britannicum (1838) which detailed all the hardy and semi-hardy trees and shrubs of the British Isles. Within the park, the trees and shrubs were laid out according to the natural system and labelled so that visitors could identify them using the guide. The Derby park had a major impact on park design elsewhere including Europe, the British colonies and North America and other public parks and arboreta were established modelled on Loudon's creation and using his ideas. In 1859 for example, it was visited by Frederick Law Olmsted on his European tour of parks, and it had an influence on the planting in Central Park, New York. Industrial pollution killed most of the original plantings by the 1880s (although a few examples remain), but it has been renovated and replanted with National Lottery Heritage funding closer to Loudon's original layout and with a new cafe and visitor centre, is well worth a visit. Dropmore Park, Buckinghamshire (Bucks) England, was created in the 1790s for the Prime Minister at the time Lord Grenville. 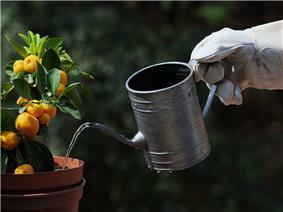 On his first day in occupation, he planted two cedar trees. At least another 2,500 trees were planted. 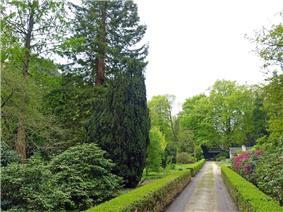 By the time Grenville died in 1834, his pinetum contained the biggest collection of conifer species in Britain. Part of the post-millennium restoration is to use what survives as the basis for a collection of some 200 species. The Greifswald Botanic Garden and Arboretum (total area 9 hectares, German: Botanischer Garten und Arboretum der Universität Greifswald), was founded in 1763. It is one of the oldest botanical gardens in Germany, and one of the oldest scientific gardens in the world. It is associated with the University of Greifswald in Greifswald, Germany. This is located at RHS Garden, Wisley, Surrey, England. The Kew Gardens botanical gardens are set within an arboretum covering the majority of the 121 hectare site. Established in the 1930s, this Forestry Commission arboretum is at Kilmun, Argyll and Bute, Scotland. Established in the early 19th century around the historical Kórnik Castle by its owner, Count Tytus Działyński, later enriched by his heirs: his son Jan Kanty Działyński and Władysław Zamoyski. It is the largest and oldest arboretum in Poland. It covers over 40 hectares and is famous for rich collections of rhododendrons, azaleas, conifers, lilacc, and other woody species from all over the world. The Institute of Dendrology in Kórnik is located within the arboretum. Affectionately referred to as "The Arb" or "The Arbo", Lincoln Arboretum is to the east of the City and retains its line of sight up the hill to the nearby Lincoln Cathedral. This was one of the original design features. It was laid out between 1870 and 1872 by Edward Milner and has been renovated since 2002. Arborétum Mlyňany is located in the area of two neighboring villages Vieska nad Žitavou and Tesárske Mlyňany near Zlaté Moravce, Slovakia. It was established in 1892 by Hungarian Count István Ambrózy-Migazzi. Today, it is governed by the Slovak Academy of Sciences. Within its 67 hectares (170 acres) area, the arboretum features more than 2,300 woody plant species, being one of the largest collections in Central Europe. The Nottingham Arboretum (1852) was designed by Samuel Curtis as the centrepiece of a major scheme enclosing the common lands around the town. It included various public walks, parks, cemeteries and other green spaces. The Nottingham Arboretum was modelled on Loudon's Derby Arboretum and also originally had a systematic labelled collection of trees and shrubs. Advantage was taken on the hilly site to produce an attractive landscaped park with a small lake, lodges, benches and other features and some of the nineteenth-century trees still survive. Affectionately referred to as "The Arb", the Nottingham Arboretum it also gives its name to the residential area – in which it lies – of the City of Nottingham, England. Located in Dompierre-les-Ormes, in South Burgundy, near Mâcon, the Arboretum de Pézanin was established in 1903 by a great French botaniquer Joseph-Marie-Philippe Lévêque de Vilmorin (1872-1917). Acquired by the state in 1935, it is now one of the richest collection in France, visited every year by thousands of tourists. Průhonice Park in the Czech Republic is a National Heritage Site, and since 2010 has been included within the boundaries of the UNESCO World Heritage Site of Prague. The arboretum was founded in 1885 by Count Arnošt Emanuel Silva-Tarouca. 2,360 taxa (species and cultivars), of which 310 were evergreen and 2,050 deciduous taxa were planted in the park between 1885 and 1927. Today it contains over 1,200 taxa (species and cultivars) of broad-leaved trees, 300 of coniferous trees, and about 600 of perennial herbs. Arboretum Wespelaar, in Wespelaar, Belgium brings together trees and shrubs from the whole world. 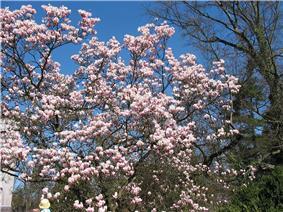 The arboretum focuses on: Acer, Magnolia, Rhododendron and Stewartia. The St Roche's Arboretum at West Dean College is a circuit walk 2.5 miles (4.0 km) long that encompasses a collection of specimen trees and shrubs. Edward James made a significant contribution to its planting, specialising in exotic, pendulous, contorted and twisted trees. It is also his final resting place – he is buried beneath a massive slab of Cumbrian slate inscribed by local artist John Skelton with the simple words 'Edward James, Poet 1907 - 1984'. The Sequoiafarm Kaldenkirchen is a German arboretum that has been used as a biological institute for many years. It is situated close to the Dutch border in North-Rhine-Westphalia and has 500 varieties of trees and an interesting ground flora. The founder Illa and Ernst J. Martin wanted to find out if the giant sequoia, which had existed in Germany before the ice age, could be introduced to German forestry. Sochi Arboretum is a monument of landscape architecture located in the Khosta district of the city of Sochi, Krasnodar Krai, in Russia. It includes 76 species of pine, 80 species of oak, and 24 species of palm. Sofiyivsky Park is an arboretum and a scientific-researching institute of the National Academy of Sciences of Ukraine. The park is located in the northern part of the Uman city, Cherkasy Oblast (Central Ukraine), near the river Kamianka. Some areas of the park are reminiscent of an English garden. Today the park is a popular recreational spot, annually visited by 500 000 visitors. Sofiyivka is a scenic landmark of world gardening design at the beginning of 19th century. The park accounts for over 2,000 types of trees and brush (local and exotic) among which are taxodium (marsh cypress), Weymouth Pine, tulip tree, platanus, ginkgo, and many others. Harvard University's Arnold Arboretum in Jamaica Plain, Boston, Massachusetts was established in 1872 on 265 acres (107 ha) of land in the Jamaica Plain section of Boston and was guided for many years by Charles Sprague Sargent who was appointed the Arboretum's first director in 1873 and spent the following 54 years shaping the policies. By an arrangement with the city of Boston, the Arnold Arboretum became part of the famous "Emerald Necklace", the 6.2 miles (10.0 km) long network of parks and parkways that Frederick Law Olmsted laid out for the Boston Parks Department between 1878 and 1892. Ottawa's Dominion Arboretum is located at the Central Experimental Farm of Agriculture and Agri-Food Canada. Originally begun in 1889 the Arboretum covers about 26 ha of rolling land between Prince of Wales Drive, Dow's Lake and the Rideau Canal. At a latitude of 45°, it can experience extremely hot and humid summers and extremely cold winters. It displays a wide range of well-established trees and shrubs with the intention of evaluating their hardiness, including 1,700 different species and varieties. The Edith J. Carrier Arboretum is located at James Madison University in Harrisonburg, Virginia, U.S.. Groundbreaking took place in April 1985 under direction of Dr. Norlyn Bodkin who is credited the first scientific botanical discovery along the Eastern Seaboard of Virginia since the 1940s, Trillium: Shenandoah Wake Robin, presently found at the arboretum. The only arboretum located on the campus of a Virginia state university. Exhibits include an acidic sphagnum bog supporting northern species and insectivorous plants, the only shale barren with endemic species in an arboretum, rare endangered large-flowered azaleas, 125 acres (0.51 km2) of mature Oak-Hickory Forrest including two identified century specimens, and a species on the U.S. Fish and Wildlife Threatened Species list found protected and propagated at the arboretum: Betula uber, Round-Leaf Birch. The Holden Arboretum, in Kirtland, Ohio, USA, is one of the largest arboreta and botanical gardens in the United States, with over 3,400 acres (1,400 ha), 600 acres (240 ha) of which are devoted to collections and gardens. The Arboretum is named for Albert Fairchild Holden, a mining engineer and executive, who had considered making Harvard University's Arnold Arboretum his beneficiary. However, his sister, Roberta Holden Bole, convinced him that Cleveland deserved its own arboretum. Thus Mr. Holden established an arboretum in memory of his deceased daughter, Elizabeth Davis. Located in Portland, Oregon, United States, the Hoyt Arboretum has over 190 acres (77 ha) and close to 8,300 different species of plants. Located at the southernmost tip of Kansas City (In southern Overland Park, KS) this Arboretum was founded in 1997 and has a large prairie and forest. 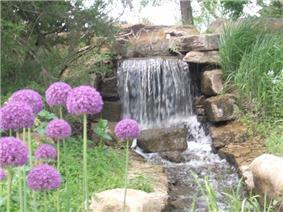 It has also added a new garden virtually every year since it opened. Located in Toronto, Ontario, the Humber Arboretum includes 250 acres of ornamental gardens and diverse natural areas, including native Carolinian forests. First opened in 1977, the Humber Arboretum is a joint venture of the City of Toronto, Humber College, and Toronto and Region Conservation Authority. Its purpose is to establish and maintain quality plant collections, promote conservation and restoration practices, facilitate research and education, and provide a quality visitor experience. The Centre for Urban Ecology, located in the Humber Arboretum, provides educational programming and children's camps centered on urban ecology. It also serves as a venue for sustainability-focused meetings, conferences, weddings, and events. The Arboretum at Flagstaff, at 7,150 feet (2,180 m) above sea level, is a 200-acre (81 ha) arboretum that is home to, and focuses on, 2,500 species of mostly drought-tolerant adapted and native plants representative of the high-desert Colorado Plateau. Originally called Los Angeles State & County Arboretum, it is located in Arcadia, California. The Louisiana State Arboretum 600 acres (240 ha), is an arboretum located on Louisiana Highway 3042, approximately 13 km (eight miles) north of Ville Platte, Louisiana inside of Chicot State Park, USA, and bordering a branch of Lake Chicot. Established in 1961, it is the oldest state-supported arboretum in the United States. The Arboretum contains over 150 species of plant life native to Louisiana, on a varied topography suitable for nearly all Louisiana vegetation except those of the prairies and coastal marshes. The Arboretum is a mature Beech-Magnolia forest containing centuries-old giant beech, magnolia, oak, and ash trees, as well as ferns, hickories, maples, sycamores, and crane fly orchids. Wildlife includes white-tail deer, fox, opossum, raccoon, skunk, squirrel, wild turkey, and numerous other bird species. Located in Lisle, Illinois the Morton Arboretum was founded in 1922 by Joy Morton, founder of the Morton Salt Company and son of Arbor Day originator Julius Sterling Morton. At 1,700 acres (690 ha) the Arboretum is one of the largest in the world, and features several mature deciduous and coniferous forests, as well as collections of plant life from around the globe, in addition to ten lakes, several wetlands, and a 99 acres (40 ha) restored prairie. Peru State College's "Campus of a Thousand Oaks," an arboretum campus, is in southeast Nebraska. In 1927, the United States National Arboretum was established in Washington, D.C. on 440 acres (180 ha) of land; currently it receives over half a million annual visitors. Single-genus groupings include apples, azaleas, boxwoods, dogwoods, hollies, magnolias and maples. Other major garden features include collections of herbaceous and aquatic plants, the National Bonsai and Penjing Museum, the Asian Collections, the Conifer Collections, native plant collections, the National Herb Garden and the National Grove of State Trees. 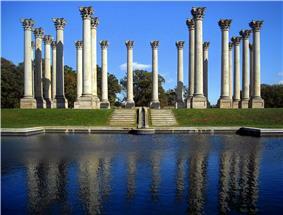 A unique feature of the U.S. National Arboretum is the National Capitol Columns, 23 Corinthian columns that were used in the United States Capitol from 1828 until 1958. The University of Wisconsin–Madison Arboretum in Madison, Wisconsin is a study collection devoted to ecology rather than systematics. Founded in the 1930s, it was a Civilian Conservation Corps project which restored a body of land to its presettlement state. Portions of the Walt Disney nature documentary, "The Vanishing Prairie", were filmed there, notably the prairie fire, filmed during a controlled burn at the Arboretum. The Washington Park Arboretum at the University of Washington in Seattle, Washington was established in 1934 as a public space that would agreed upon by the University of Washington and the City of Seattle. Seattle at the time had in its possession a 1,200+ acre (500+ ha) park known as Washington park located in the central portion of the city, and the University was given authority to design, construct, plant, and manage an Arboretum and Botanical Garden in this park. It has been a popular destination of Seattlites ever since. In 2005, the Washington Park Arboretum, as well as the University of Washington's Center for Urban Horticulture, Elisabeth C. Miller Library, Otis Hyde Herbarium and Union Bay Natural Area, began operating under the umbrella of the University of Washington Botanic Gardens. Located in the historic copper mining town of Superior, AZ 55 miles east of Phoenix. The Morris Arboretum of the University of Pennsylvania is the official arboretum of the Commonwealth of Pennsylvania. It is located in the Chestnut Hill neighborhood of Philadelphia, Pennsylvania. Originally built in 1889, the arboretum was opened to the public in 1933. The arboretum contains more than 13,000 labelled plants of over 2,500 types and covers 175 acres. The Cowling Arboretum (also referred to as the Arb) consists of approximately 880 acres (360 hectares) of land adjacent to Carleton College. 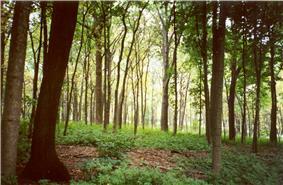 The Carleton Arboretum is located on a natural border between prairie and forest habitat. The arboretum serves as a Minnesota State Game Refuge. It was originally created in the 1920s. The Arboretum is divided by Minnesota State Highway 19 into the Upper Arboretum (south of the highway) and the Lower Arboretum (north of the highway; "lower" because it contains the low-lying floodplain of the Cannon River). ^ Gardner, Helen; Kleiner, Fred; Mamiya, Christin J. (2008). Gardner's Art Through the Ages: A Global History. Cengage Learning EMEA. p. 67. ^ Vukovljak, Kathryn. "Rare Treasures of the budding arboretum". "City News" Magazine. Archived from the original on 5 Sep 2012. Retrieved 24 August 2012. ^ "Lindsay Pryor National Arboretum". "National Capital Authority. Archived from the original on 5 Sep 2012. Retrieved 24 July 2012. 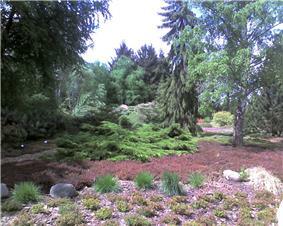 ^ "Lindsay Pryor National Arboretum" (PDF). "National Capital Authority". ^ P. Elliott, 'The Derby Arboretum (1840); the first specially designed municipal park', Midland History, 26 (2001), 144-176; Paul A. Elliott, Charles Watkins and Stephen Daniels, The British Arboretum: Trees, Science and Culture in the Nineteenth Century (London; Pickering and Chatto, 2011), 135-154. ^ Timpson, Trevor (2007-04-01). "Abolitionist's house escapes ruin – BBC news 1 April 2007". BBC News. Retrieved 2009-02-06. ^ P. Elliott, C. Watkins and S. Daniels, 'The Nottingham Arboretum: natural history, lesiure and public culture in a Victorian regional centre', Urban History, 35 (2008), 48-71. 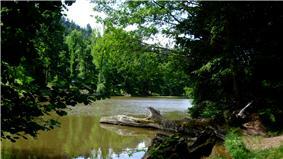 ^ "Průhonice Park: National Heritage Site and UNESCO Protected Area". Institute of Botany ASCR. ^ a b "Arboretum of the Průhonice Park". Institute of Botany ASCR. ^ "Montpelier - Summer 1997". ^ "lib.umd.edu"Archival Collections at the University of Maryland Libraries . ^ "Fast Facts About the Arboretum". United States Department of Agriculture. May 12, 2009. Archived from the original on 2 July 2009. Retrieved June 29, 2009. ArbNet is an online, interactive community of arboreta that supports the common purposes and interests of tree-focused public gardens. ArbNet is sponsored and coordinated by The Morton Arboretum. Trees Live Here: the Arboreta of America is a new project introducing and celebrating American arboreta.